FRAGRANCE, by Commands. Unraced. Sister to SKILLED, AMBIDEXTER, three-quarter-sister to PROVERB, half-sister to SIDESTEP. This is her first live foal. SKILLED (Commands). 3 wins at 2, A$581,850, AJC Champagne S., Gr.1, STC TL Baillieu H., L, AJC Pagewood 2YO H., 2d ATC Randwick Guineas, Gr.1, AJC Sires' Produce S., Gr.1, MRC Gothic S., L, 3d ATC Hobartville S., Gr.2, Royal Sovereign S., Gr.2, MRC Caulfield Guineas Prelude, Gr.3, BRC BTC Classic, Gr.3, 4th VRC Carbine Club S., Gr.3. Sire. SIDESTEP (Exceed and Excel). Champion 2YO Colt in Australia in 2012-13. 3 wins-1 at 2-at 1200m, A$1,343,500, ATC Pago Pago S., Gr.2, Royal Sovereign S., Gr.2, Darby Munro S., L, 2d ATC Golden Slipper S., Gr.1, Fireball S., L, Canberra RC Black Opal S., L, 3d MRC Merson Cooper S., L, 4th ATC Golden Rose S., Gr.1, San Domenico S., Gr.3. Sire. AMBIDEXTER (Commands). 3 wins at 1400m, A$462,800, ATC Theo Marks H., Gr.2, NSW Tatt's RC Ming Dynasty H., L, ATC Ashcroft H., 2d ATC Epsom H., Gr.1, Frank Packer P., Gr.3, 3d Newcastle JC Spring S., Gr.3, 4th ATC Randwick Guineas, Gr.1, Rosehill Guineas, Gr.1, Spring Champion S., Gr.1, Hobartville S., Gr.2. Sire. Deft. 3 wins to 1550m, A$136,160, to 2018-19, ATC Caterez H., Ranvet H., 2d ATC Theraces H., 3d ATC Australian Turf Club H., TAB H., Scone RC Pages Event Hire P.
Thumb Nail - Radiant Steed (H.K.). 5 wins at 1200m, A$12,800, HK$3,257,050, to 2017-18, BRC Become a Member H., HKJC Pearce Memorial Challenge H., Beauty Flash H., Nga Tsin Wai H., Conduit H., 2d HKJC Victoria RC Trophy H., Lukfook Jewellery Pt Graceful Collection H., 3d HKJC Blue Pool H.
DEXTROUS (Quest for Fame). 5 wins. See above. Light Work (Danehill). 3 wins-1 at 2-from 1400m to 1900m, A$271,935, STC Bookmakers H., AJC Matador Bullbars H., Dark Marne 2YO H., 2d AJC Australian Oaks, Gr.1, STC Ansett Australia S., Gr.1, Alfalfa 2YO H., 3d Cranbourne Cup, L, STC GJC Moore H., Florida Keys H.
PROVERB (Commands). 3 wins-1 at 2-from 1200m to 1900m, A$322,795, BRC Gunsynd Classic, Gr.3, ATC Dulcify H., L, Turf Club 2YO P., 2d NSW Tatt's RC Ming Dynasty H., L, Seymour Cup, L, 3d MRC Sandown Guineas, Gr.2, VRC Carbine Club S., Gr.3, Newcastle JC Spring S., Gr.3, ATC Fernhill H., L, 4th ATC Schweppervescence H., Gr.3. Sanglier (Albrecht). 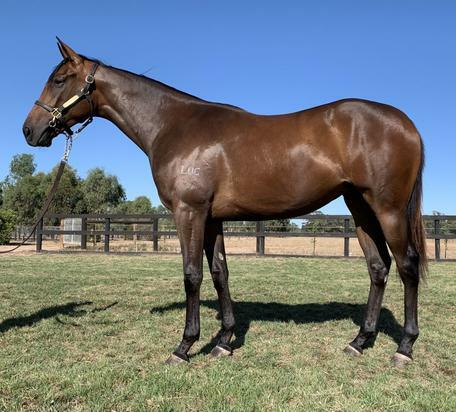 2 wins-1 at 2-at 1000m, 1100m, A$97,205, to 2018-19, 2d SAJC Queen Adelaide S, L, MRC Catanach's Jewellers 2YO H., 3d MRC Merson Cooper S., L.
Bromide (Canny Lad). 8 wins-1 at 2-to 1500m, A$326,715, STC TAB Power Pays Welter H., De Bortoli Hunter Valley Welter H., AJC Corrida H., Maytag H., STC De Bortoli Windy Peak H., Tiaras & High Tea on Tea Rose Day P., Kevin R Sheather Electrical Group H., 2d BTC Bribie H., L, STC Zhen Corporate Centre H., Hyland Race Colours Welter H., Christmas Party at the Races Welter H., 3d AJC Sharp H., Aqua d'Amore Welter H., Bronte Welter H.